Look at the picture above. It is being posted by smug Labour supporters who think it makes a helpful point about the Conservatives’ management of the economy. At first glance, it seems pretty cut-and-dried. 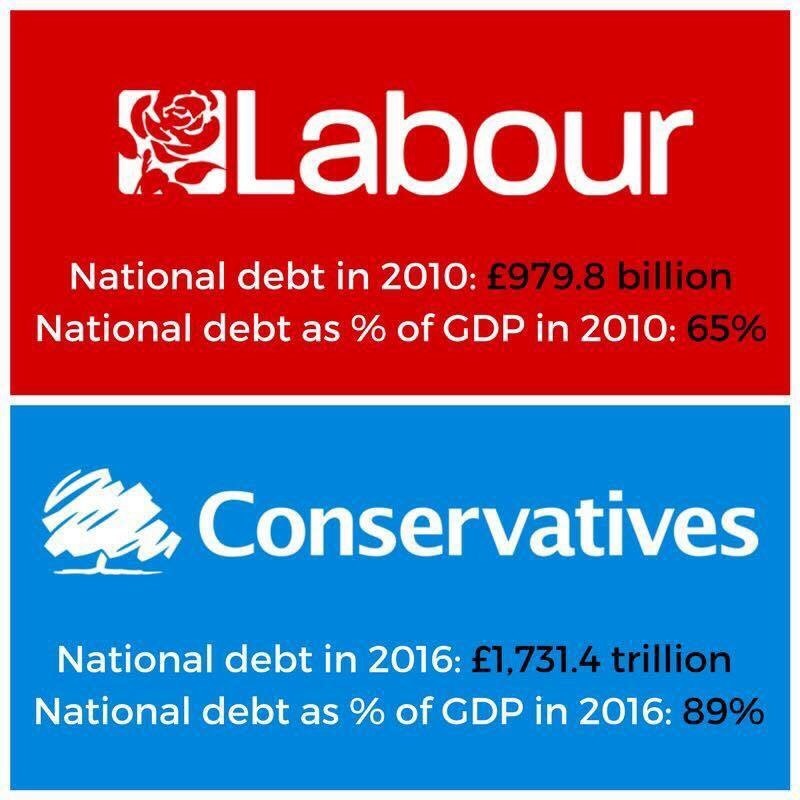 The National debt was £980 billion in 2010, when Labour was last in Government and it was £1,731 billion at the end of 2016, after six and a half years of Tory rule. Case proven, right? WRONG. Have a look at the chart below. 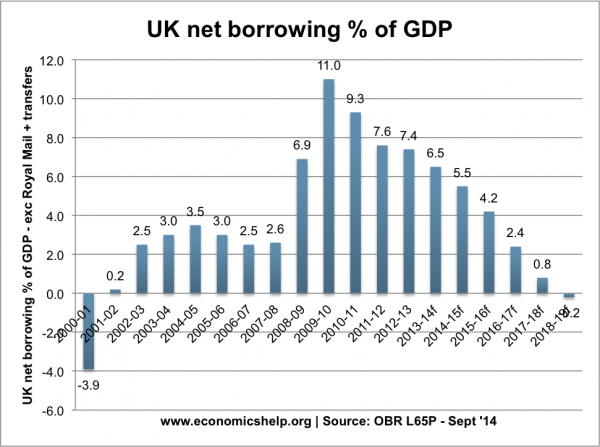 It shows net borrowing as a percentage of GDP. Net borrowing is the difference between tax revenue and government spending, otherwise known as the deficit. This was about £160 billion when Labour left office in 2010. That is the highest bar on the chart. You might notice that the bars go down from there, as the Conservative Coalition and now Goevrnment have reduced this deficit by around £20 billion a year. At the moment it is about £50 billion a year. Maybe Labour supporters don’t understand the economics behind this? Maybe they think that the public don’t understand the economics either. But given the current economic credibility gap between the two parties, they had better not bring constant attention to it. Pictures like the one at the top of this article do just that.